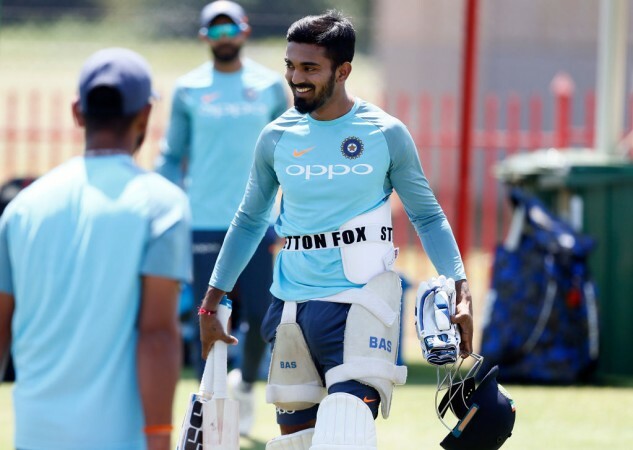 After struggling in the home season against West Indies, KL Rahul failed once again in the first innings at Adelaide when he drove rather loosely to a pitched up ball outside the off stump and nicked it behind. KL Rahul is turning out to be a frustrating case study for the Indian team. Yes, he has the talent and the strokes to be successful in International cricket, but he does not have the scores to match his potential. After struggling in the home season against West Indies, KL Rahul failed once again in the first innings at Adelaide when he drove rather loosely to a pitched up ball outside the off stump and nicked it behind. Former Indian captain and batting great Sunil Gavaskar believes Rahul is completely out of confidence and he should be left out of the side if he fails in the second innings. "KL Rahul should be dropped from playing XI if he fails to score in second innings. Because he has no more self-confidence left in him. There was a time when he was a very confident player, but now he doesn't look so. There is a tentativeness, a certainty in him about the ball outside the off stump, about his shots, he plays it across the line as well," Gavaskar told Aaj Tak. Gavaskar also thinks that Rahul has not gone back to the nets and corrected his faults which is forcing him to make the same mistakes. He even questioned his technique where he shuffles across towards the off stump which makes him play away from his body quite often. "When you shuffle from leg stump to leg stump, you know the placement of the stump, but when a tall batsman like him shuffles towards off stump off his backfoot then the front foot will go a lot outside the off stump and then you play the shot outside the off stump you are liable to get out at slip. He had made this mistake in England and he making the same mistake now as well and only he knows why is he doing it," he further added. After struggling to get going in tough conditions in England, Rahul gave a glimpse of his ability when he stroked a century at the Oval and he would ideally hope that he gets back to making runs in the second innings.